Leftists have been under the hammer for the better part of eight months. On the one hand, they decried President Trump and anything that came from his administration as racist, bigoted, and xenophobic. They also claim that he was bent on the destruction of minorities and illegals, as well as prompting World War III. Let go of the fact that while engaged in this insolence, paired with the Fake News Industrial Complex on constant attack every single day and night, the groups most closely identified with the Democrats, the so-called “antifa” crowd, were rampaging throughout the country, both applauded and encouraged by Hillary, Obama, Pelosi, Waters, Schumer, the FNIC, and celebritydom (not to mention the generous funding by George Soros). Throughout their reign of terror as they brandished bricks, baseball bats, brass knuckles, knives, mace, tasers, and bags of urine and feces, antifa grew and their respect in the Leftist circles finally began to dwindle. While Paul Ryan was still standing by these fanatics, Nancy Pelosi, of all people, finally stood up and mentioned that they were a danger to society. 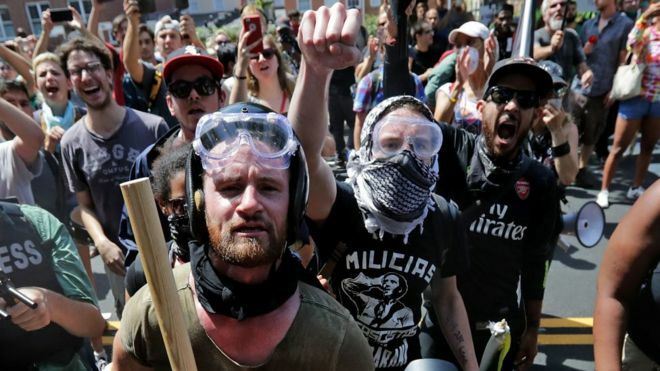 Now, the FBI has…FINALLY…officially named antifa a domestic terror organization! If there’s any wonder why the antifa groups wear black hoods, masks and bear knives, one need look no further than the fact that many of these youths are receiving this training from ISIS-affiliated groups abroad. In order for law enforcement to be successful, there will need to be a broad context under which they may battle this newest domestic terror threat. If needs be, the National Guard should be called in to maintain control. If videos of these confrontations are any proof, these groups are not to be taken lightly. Fed-Up Citizens Petition Trump To Crush Violent Protesters, But Will He Side With Democrats? 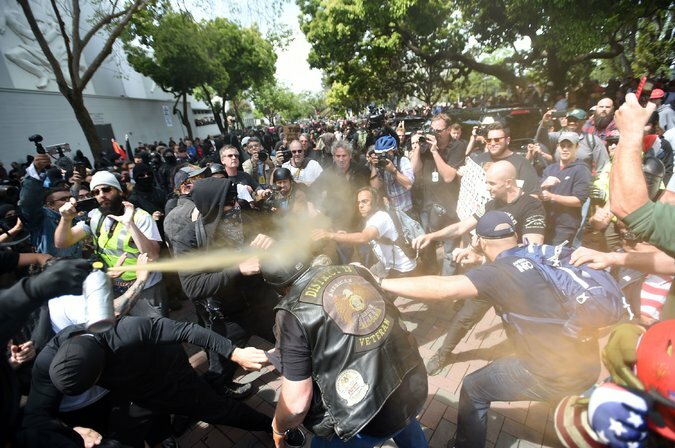 Antifa Attacks Patriots — “F*** All Your Free Speech”… Anarcho-Communists Will Rule! Mike Huckabee Wants To Tear Down Liberal ‘Monument’—Do You Agree With Him?